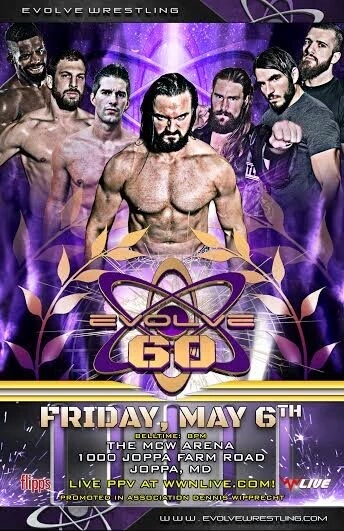 The Eyes on the Ring team will be in full effect at EVOLVE 60, which marks the first time the company comes to the Maryland area, but hopefully it won't be the last time. Though the WWE and EVOLVE now have a working relationship, EVOLVE remains one of the premier indie organizations in America without a doubt. Their EVOLVE 60 looks great. Let's take a brief look at some of the matches on this grand card, shall we? -This match will be exciting, as I fully expect the Bravado Brothers to show out and put on a great performance. I've seen some of the Devastation Corporation and think they're a solid team, but I'm leaning towards the Bravado Brothers taking this. The Bravado Brothers might be the most underrated team in wrestling. -Fresh off of a recent NXT tryout, Tony Nese is here to take on Matt Riddle. 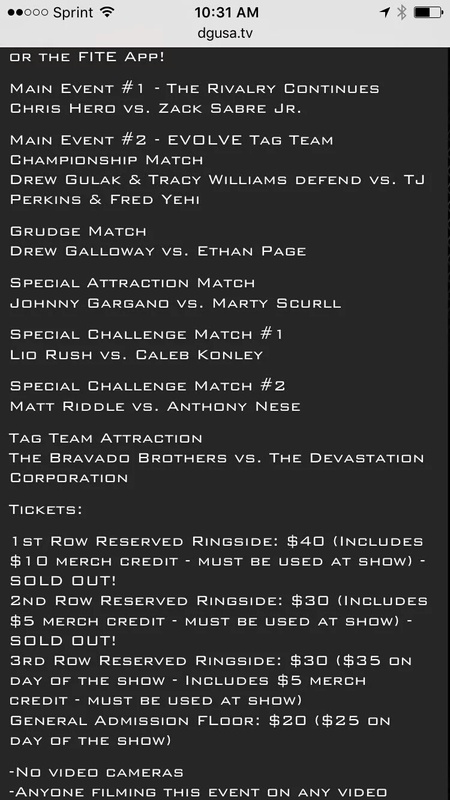 I'm not 100% familiar with the ability of Matt Riddle, but I'm excited to see and learn more about him via this match. If I had to make a choice, I'd go with Nese, but something tells me, Riddle will pull out a victory. -One of the most promising young stars in the business in Lio Rush, takes on the newest TNA star and a guy I've watched wrestle personally for years in Caleb Konley. Caleb and Lio will tear down the house, however, there's a big part of me that wants to see Lio get the win. He's fast, agile, and I guess I'll have to be honest, he's a black wrestler, and I'm always pulling for my fellow brothers to prosper. This could be a huge opportunity and a big win for Lio Rush. The kid has a huge future in this business. 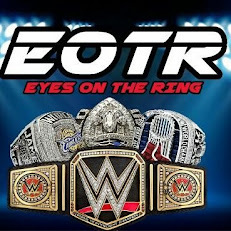 -I think this match has the potential to steal the show. Anytime you have TJ and Drew in the same match, you might have a classic on your hands. I'd personally want to see Drew and Tracy retain, but I think giving them 17 minutes to go out and put on a classic is all we need, regardless of who wins. I'll stick with my pick of Drew and Tracy however. -These two guys are on the rise and Gargano is truly one of the biggest names in the indies, and recently signed to WWE as well. I think Gargano will continue his momentum and pick up the victory, but Marty is not a slouch. He's an amazing performer as well, so it could go either way, but I'm going to go with Gargano. He's got more to lose here seemingly. -Since leaving WWE, Drew has found his niche in the indies. He's truly one of the best performers out here, which shows how his potential was wasted in WWE and the more I see of Ethan Page, the more I think he's a star in the making. This match is one of the biggest on the card and most interesting. I'd suspect Drew gets a victory as he's the face on the poster and the bigger name, but maybe he puts Ethan over in a big way still. This should be a fun one. Chris Hero vs Zack Sabre Jr.
-This is going to be a classic. Zack is truly one of the best today and Hero still amazes me with his agility despite his size and his ability as a performer. This rivalry is still going strong and I can't wait to see the next chapter in it. I'd like to see them go 20-25 minutes and see Zack get the victory here to give him all the momentum he needs going into that WWE Global Cruiserweight Series as well. If done correctly, this will be an all time classic. Even if it's not a classic, it'll still be a great match anyway. This is the one I'm the most curious to see based on time limit and outcome. So, there you have it. EVOLVE 60 is a pretty stacked card and should be a great event. 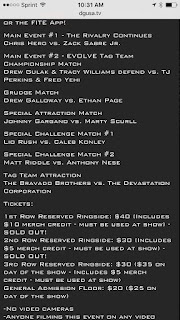 I can't wait to experience EVOLVE for the first time and this is the perfect event to start with.